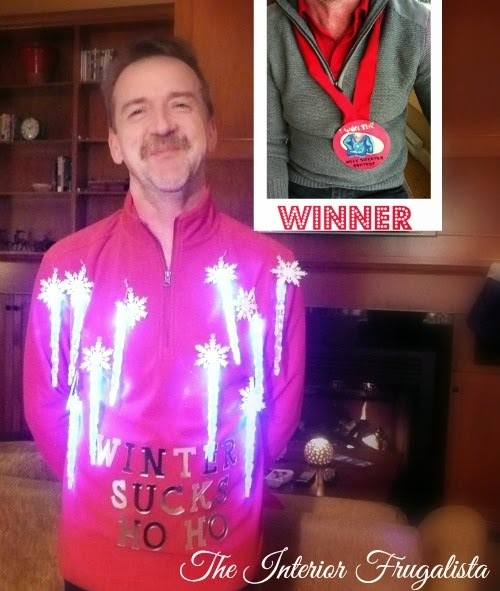 If you're looking for a fun activity to do with family and friends this holiday season I highly recommend an Ugly Sweater Contest! 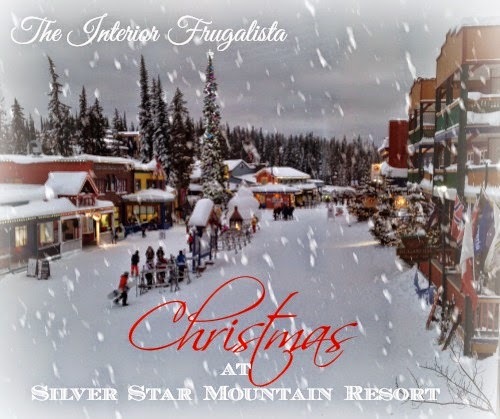 Last year we spent the holidays with our children, their significant others, and my sister and husband at Silver Star Mountain Resort in British Columbia. 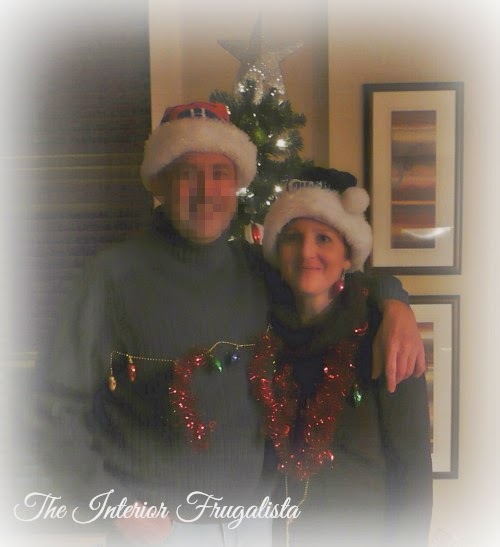 It was definitely my favorite Christmas in a very long time and I so wish we could do it again this year. 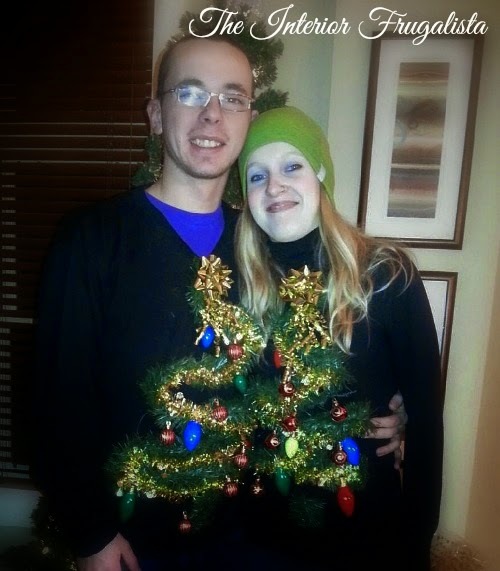 There were many fun memories from that trip but one of the highlights was our Ugly Sweater Contest on Christmas Eve. For weeks leading up to Christmas there were secret trips to the Dollar Store, no peeking behind closed doors, and lots of guessing as to who was doing what. 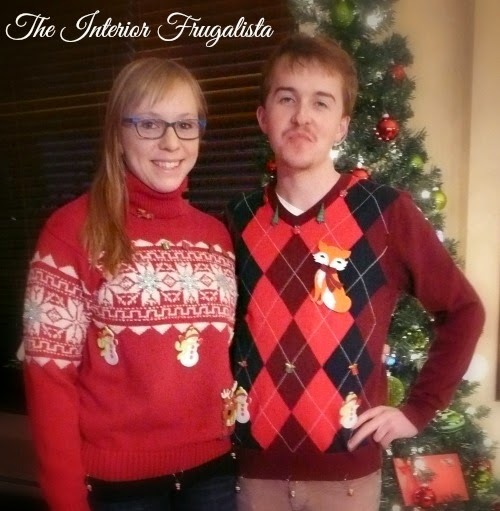 So when we all gathered to make chicken fajitas in our condo on Christmas Eve the laughter began as each person emerged adorned with their Ugly Christmas Sweaters. ...and he abides by that slogan! 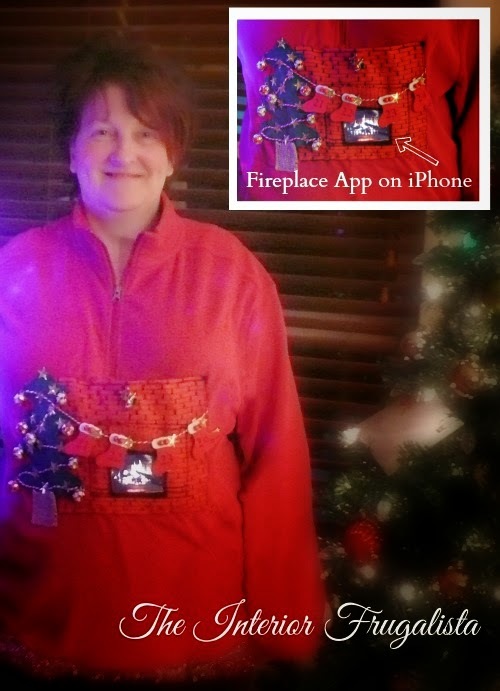 After supper we headed outdoors wearing our ugly sweaters to watch the torch light parade followed by the fireworks. Mr. Frugalista lit the path and was probably the beacon for Santa and his ski companions as they made their way down the mountain! 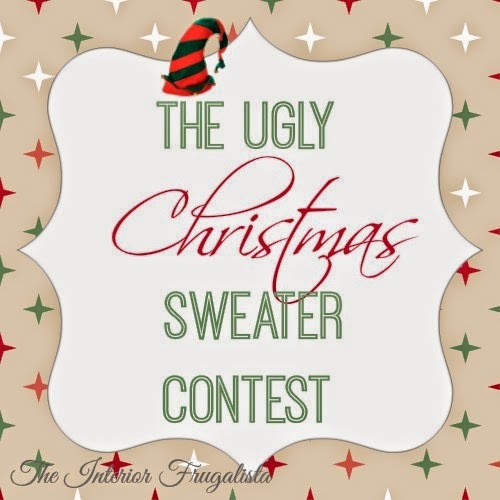 Do any of you participate in ugly sweater contests? What other fun activities or traditions do you share during the holidays?